The Tragedies of Middle School is an anthology of tabletop roleplaying, story games, LARPs, and other strangeness combining classic HORROR TROPES with game mechanics inspired by the greatest horror of all... JUNIOR HIGH!!! Return to middle school without the horror of actually being 13 years old! Each of the TWENTY TWO GAMES in The Tragedies of Middle School centers around a nostalgic junior high activity - spin the bottle, Truth or Dare, passing notes, Bloody Mary, school dances, friendship bracelets, cootie catchers, and more. Combining that with a PG-13 horror movie vibe to represent the fear, awkwardness, and angst of being a thirteen-year-old. It’s just the worst! Other strangeness? 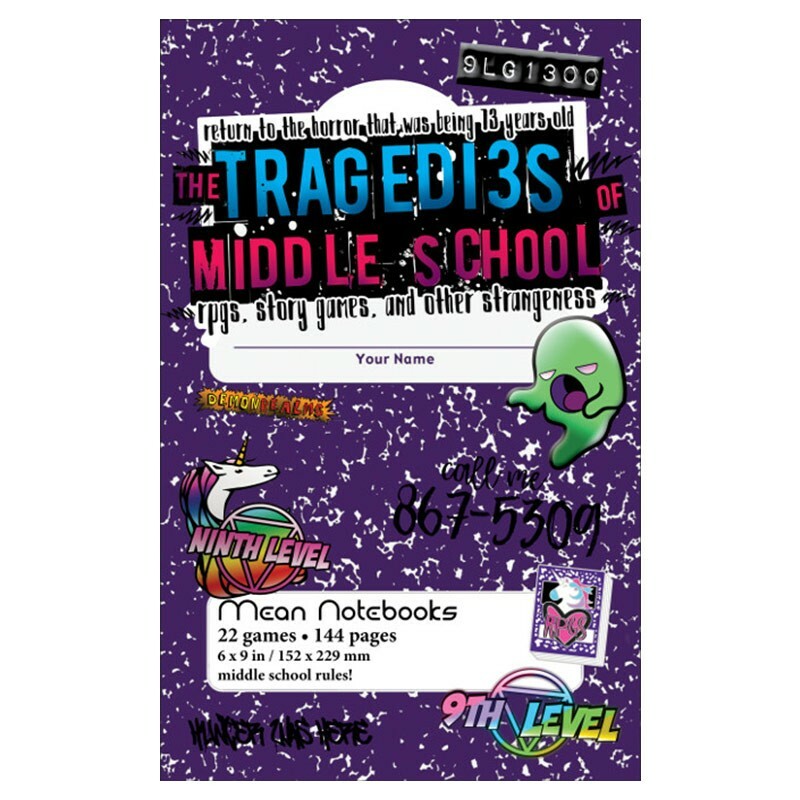 In addition to the RPGs, story games, and LARPs, The Tragedies of Middle School features a card game, a Choose Your Own Adventure, a sport, a dance party, some craftivities, and more! We double dog dare you to join us back in those hallowed halls of nostalgia and dread!